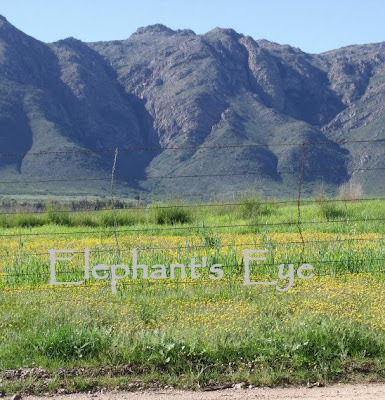 There is a farm looking across to Porterville, on the Piketberg road - which is called Olifantskop (that is Elephant Head). The Ungardener was quite disappointed. 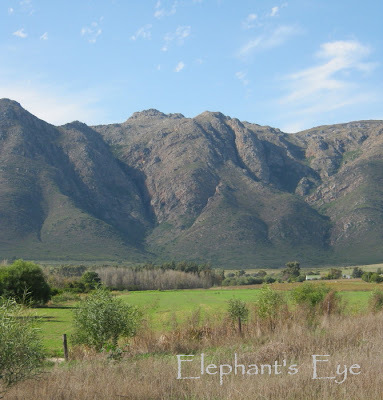 On one of our early journeys here, he suddenly said - look at the mountains, there's an elephant! But still the locals sometimes look at me blankly and say - what elephant? And our visitors say - so tell me again, where is this elephant? It was serendipity that I took that first header photo around the shortest day of the year, when the shadows are at their longest. That was when I started this blog. 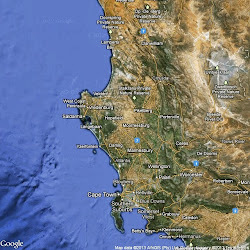 Started blogging at all! 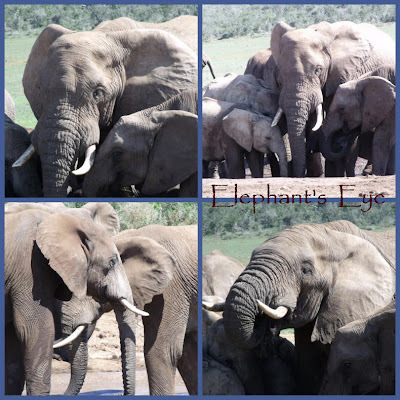 In March 2010 we went to Addo to see elephants. The flesh and blood ones for which the river and the mountains once were named. The early settlers found elephants here, which is hard to believe, but so they say. 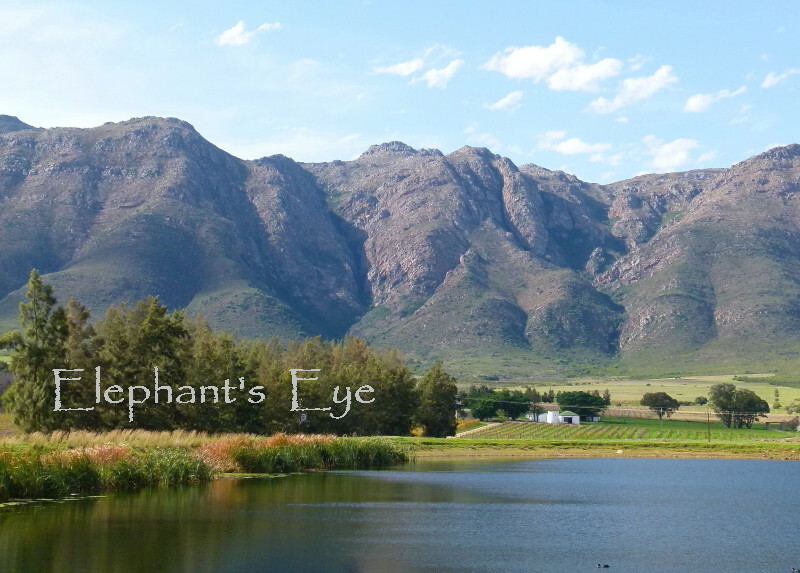 Walking past vineyards, naartjie and pomegranate orchards this morning we were observed all the way by the watchful eye of the elephant. Yesterday, 14 June 2011 we went to take fresh pictures for the 2011 header. Walked thru the turning leaves on Shiraz vines. 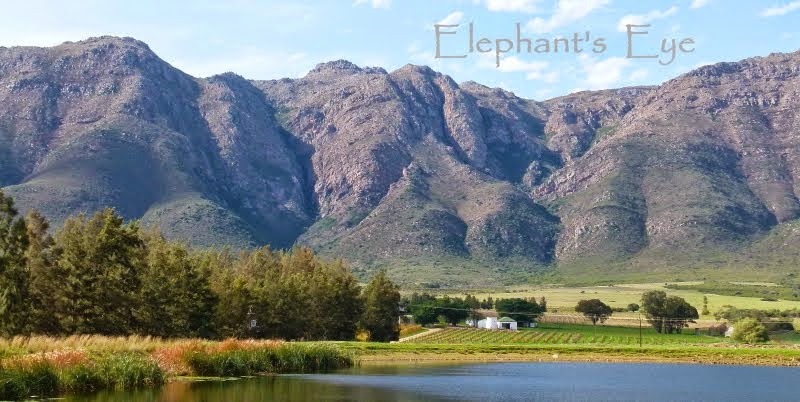 The blue mountains really look like an elephant, in fact I see 2 elephants, side-by-side here. I see the eye too! Diana, I'm glad to know you via Blotanical. 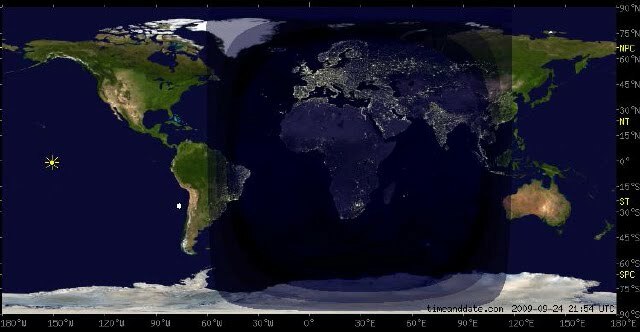 An interesting, learned blogger from a fascinating country. Do keep up the good work, carrying on the blogging and Cheers! There's a great big (and please I mean that metaphorically ;))matriarch out there, and she keeps a watchful eye on nature in her surroundings, and on her friends at Blotanical - and I have no doubt in a lot of other ways we are not privy to! 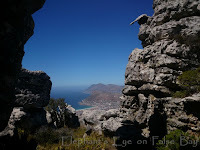 It is in fact one of my favourite blog titles, and deeply imbedded with patriotism to boot! 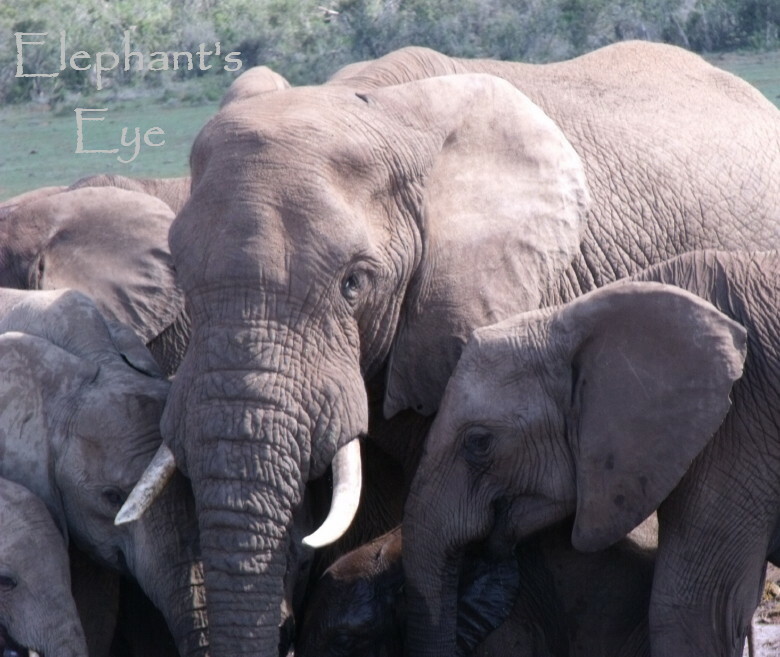 Love your Elephants, wish I could have one. Appreciate your efforts to post about Elephants and say keep it up we are very interested. Diana, garden work for the moment is up to date, not in the mood for blogging or should I say preparing drafts for future use. Also up to date with leaving comments on posts which I like to visit, skipping those who have written so very well on environmental issues. Why have I skipped them, well not because I am uninterested, just that I haven't found the voice for it and everything which I say on the subject comes across as crap. Well what have I been doing. I have been reading all the pages on your site and have been totally engrossed. Loads of interesting stuff, however the most fascinating, (Why Elephants Eye) Of course I have wondered about this, today, thank you, so beautifully crystal clear. Alistair. How comforting to know that you are being watched over by an elephant. 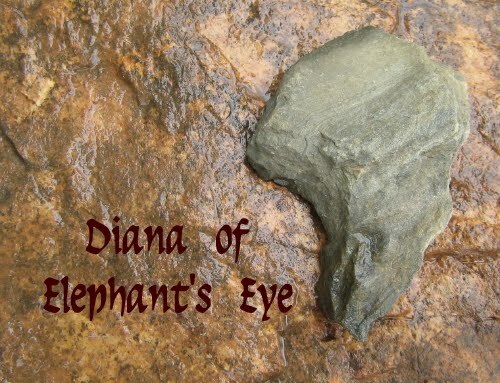 Have always been intrigued by your blog's title Diana - great to find out the why :) Can definitely see the elephant especially when I move my chair away from the computer. Fantastic place for a walk. Wow, what a great story and a clever name! I'm jealous you have such a cool story to go along with your name. I love the mountains! 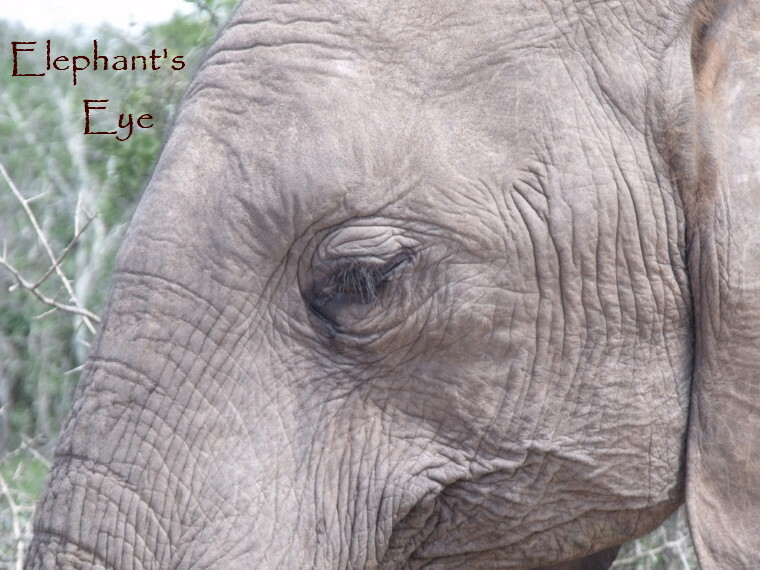 I often wondered how you became The Elephants Eye - thank you. 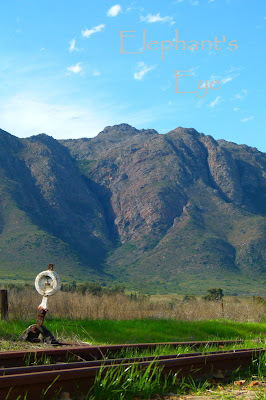 Looking for him was like one of those picture games and when I found him and his eye, that is all I see now! This is a great idea for a post and I am slowing reading them all. 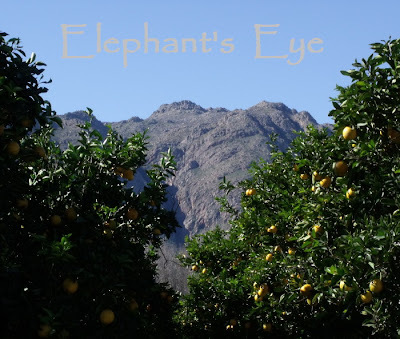 I love the elephant's eye! Your blog looks very interesting so I've become a follower - never going to have time to do any gardening myself though if I keep getting lost in other people's worlds lol! But actually I am very interested in following gardening and wildlife in other countries and continents as it's so different from NW France. A very apt name for the mountain! What a beautiful place you live in! And thanks for sharing the beauty with us. Very intresting..!! I like the South Africa Succulents and Bulba a long time.and know quit a few people over there..the areas are so good and nice , in Holland all is flat !! 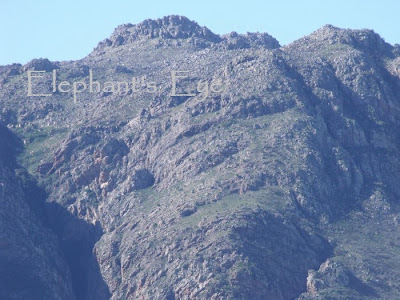 Ah yes, it really does look like an elephant - what a wonder this is!